Do you wish to get full access of your iOS without compromising on the guarantee of your device? FilzaEscaped is a file manager that lets you access, manage, modify and create files on iOS without jailbreaking your device. This file manager can also be used to open system files. The in-built file manager can only perform limited operations on iOS. FilzaEscaped file manager for iOS shows amazing performance and has fixed its position among the list of most downloaded apps. FilzaEscaped is an updated version of Filza, which is compatible on all devices running on iOS 11.2 to 11.3.1. Since it is a modded version, you can only get it from a third party source. 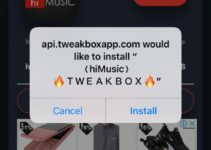 TweakBox is the one preferred by almost all the iOS users with non-jailbroken devices. It gives you many such modded apps and tweaks for free. We will look at the installation later in this article. Try out: BobbyMovie on iOS TweakBox Without Jailbreak on iPhone/iPad (Full Steps). FilzaEscaped is, without doubt, the best file manager you can ever wish for. The features it offers are just limitless. 1) System files and folders can be read, modified and hence can be personalized according to your wish. 2) Customization is so easy using this file manager. You can totally change the look and design of your device. 3) The app can be used to free up space. It clears all the caches, cookies, history and obsolete files completely. 4) It even gives you access to dot files which can be opened, extracted or removed. 5) Any file that damages your system can be terminated permanently. With FilzaEscaped, you are no longer restricted while using your iDevice. You can modify any file and hence change the properties of certain apps so that it can be run on iOS safely. 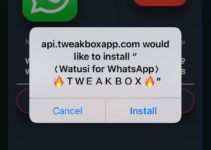 Also, Check Out: “WhatsApp++ Install on iPhone/iPad – TweakBox App“. After looking at the features, you might probably want this app on your iOS. Downloading FilzaEscaped would be one of the best choices you make. The performance and user interface is just extraordinary. Using TweakBox for iOS, it is very easy and safe to download the app since it is a modded version. The detailed steps to be followed are given below. 1) As a first step, you will need TweakBox for iOS. If you don’t have it, open the Safari browser and browse the URL given here TweakBox Download (UPDATED). You will find the Install option of the home page of the website that opens up. Click on it. 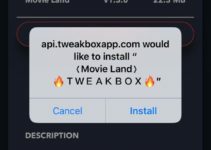 2) After some time, TweakBox will be installed on your iOS. However, you need to make certain changes before launching the app. Open the Settings and tap on Profile & Device Management option. Enable the Trust TweakBox option. 3) Now the app installer is ready to launch on your iOS. Open TweakBox and search for FilzaEscaped for iOS. 4) The app will be displayed immediately along with an Install button. Tap on it and again tap on Install when a confirmation window pops up. 5) The installation will take some time. Once it is done, open the Settings and Trust FilzaEscaped from Profile & Device Management menu. Spotify++ Download on iOS – Spotify Premium Music – TweakBox. SnapChat++ on iOS 12.2, 12.1, 12.1.2 & iOS 12+ No Jailbreak 2019. You have successfully installed FilzaEscaped on iOS. Use this app and upgrade your iOS as you wish. TweakBox offers you many such modded apps without jailbreak. Do check out all of them. If you have any queries, do let us know.